NASA is addressing the crucial scientific issue of global ozone depletion. A major airborne campaign was planned and executed in August and September of 1987 to study the sudden and unanticipated decrease observed in the abundance of ozone over Antarctica in the Austral spring since 1979. Results from that study have provided data which directly implicate man-made chemical compounds, chlorofluorocarbons, in the enormous ozone loss over this remote region in the southern hemisphere. To continue the study of the production and loss mechanisms for ozone in the polar stratosphere and to assess man's growing influence on his environment, NASA is planning a follow-on experiment to the one conducted over the Antarctic. A second major aircraft-campaign is planned for January - February 1989. The recently published Ozone Trends Panel Report found that the largest decreases in total ozone occurred during January-February at latitudes near the edge of the Arctic vortex. 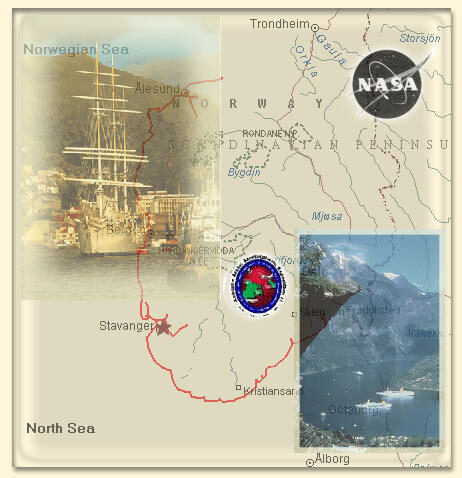 This experiment will investigate the Arctic polar stratosphere from a base in Norway.